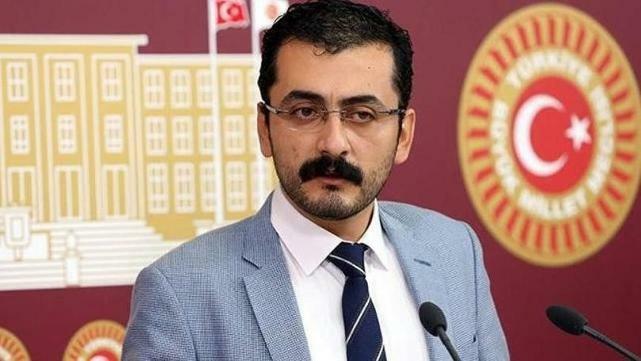 Turkish police have detained a former parliamentarian for the opposition Republican People’s Party (CHP) on terrorism charges, opposition Cumhuriyet newspaper said. Eren Erdem faces between nine-and-a-half and 22 years in prison on charges of aiding an armed terrorist group, revealing secret witnesses and violating the secrecy of a police investigation while working as the editor of a short-lived newspaper called Karşı. He first learnt of the charges when he was stopped at the airport and prevented from going abroad on May 21. The decision to keep him in police custody until his first hearing on September 19 was motivated by an increased risk that he might seek to escape the country, pro-government broadcaster A Haber said. Erdem this week criticised CHP leader Kemal Kılıçdaroğlu’s decision not to resign in the wake of the party’s defeat in Sunday’s election. Ankara'da gözaltına alınarak İstanbul'a getirilen eski CHP Milletvekili PM üyesi Eren Erdem, tutuklandı. Erdem, mahkemedeki CHP'lilere, Parti Sözcüsü Bülent Tezcan için "Bu onun eseridir" diye sitemde bulundu. İfadesinde suçlamayı kabul etmeyen Erdem cezaevine gönderildi.